A track by track review of the excellent new album from Jeremy Tuplin, the follow-up to his debut ‘I Dreamt I Was An Astronaut’ from 2017. With his distinctive voice and gift for words he has produced a heady concoction of attractive music and rewarding and complex lyrics. 1. Can We Be Strangers On this scene-setting opening track a gentle guitar welcomes you into his inverted lyrical world, ‘….secret, don’t tell me your secret, the purpose of a secret is that it is meant to remain a secret…’. Gradually the semi-orchestral sounds threaten to overwhelm the words. 2. Bad Lover Brilliant poppy up-tempo groove, driven by an addictive guitar figure, this was the preview single for this collection. Definitely a highlight, watch the video too with the band artfully succumbing to boredom during the mimed performance. 3. Just Cos Ur Handsome Another jaunty song, full of regret and wordplay, ‘…Too easily confused is the state…Of two hearts that are bound forever….In leather clad daydreams what do you even mean…’. The rhymes and assonance go across and through the lyric lines, as the guitar sparkles over the sympathetic rhythm track. The goddess herself makes a vocal appearance part way through. Divine! 6. 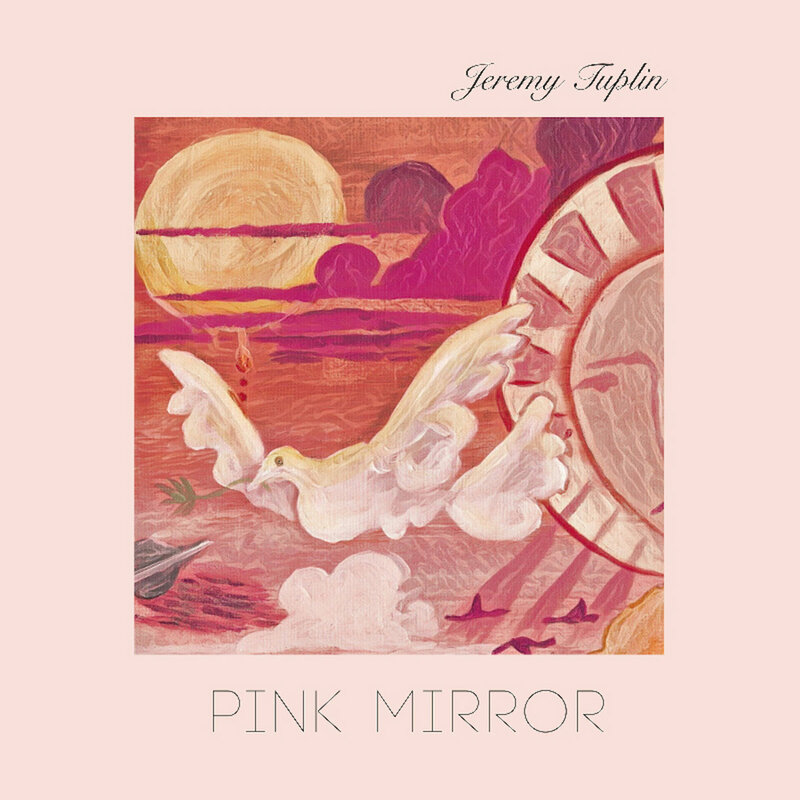 Pink Mirror Thoughtful but inscrutable lyrics on this one as the melody and instrumentation carry it along optimistically. 7. The Machine A bluesy, late night reflection powered by a compulsive bass beat and razor sharp drums. Personal social commentary ‘…Then I think of everything I do, think, feel or see…It barely contributes to the economy…’ as the narrator becomes lost in modern stresses. 8. Love’s Penitentiary This twisted love song opens with the winning couplet ‘….There goes my baby out the door again…She’s carrying my heart in a handbag made of my own skin…’ pulling you in to a lo-fi masterpiece, one of my favourites on the album. 10. Break Up Neat and sparse musically with honest and touching words. ‘…This is it we’ve reached the final threshold….Robotic people with smart telephones….’. The imagery of modern relationships is convincingly tinged with disappointment. 11. Humans This brilliant cinematic song is the centrepiece of the album for me; a winner as it is a ‘list song’ featuring a random cast of people to support the key theme ‘….Humans, I love you….Despite my seemingly best intentions not to….’ The leisurely six minutes is bookended by gentle acoustic guitar and the names range in prominence from ‘…Buddha, Blondie, Dostoevsky…’ to footballer Peter Crouch and the surprising pairing of ‘…George Bush, Kate Bush…’. Impressive indeed. 12. The Beast A quiet end to the LP; an ode to escape and realisation ‘…I’ve been lying to myself, living through a telephone…For once I’m gonna listen to my mother and wear that warm coat she bought me…..’ With just guitar arpeggios it is one of the loveliest melodies on the album reminiscent of a hidden gem on an Edwyn Collins solo disc. This entry was posted in Music on April 14, 2019 by iknoweno.